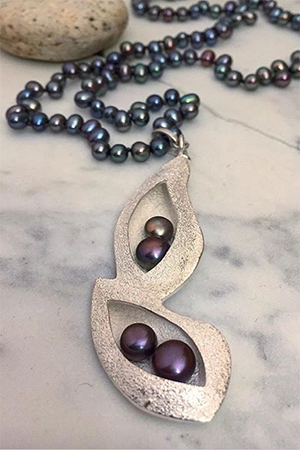 Melissa Lovingood – Unique, Sterling Silver and Pearl Pod Necklace. Hollow-constructed. Call for price.